(If you have problems viewing the video above due to your internet connection speed, you can download the video to watch offline by right clicking this link and selecting ‘save as’). 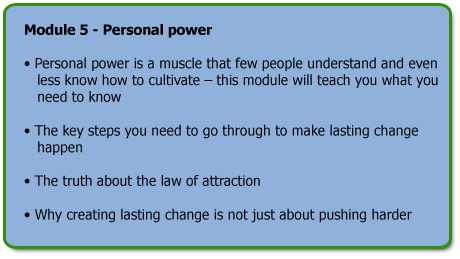 Conscious Transformation is an exclusive interactive training programme run by Alex Howard. With a combination of pre-course materials, web-based training programmes, specially recorded meditations and integration assignments, you will be taken on a life changing journey of inner transformation. In Alex’s passionate and highly engaging training style, you will be exposed to some of the most cutting edge tools for inner transformation available, whilst also being inspired to make deep and lasting changes in your life. Over a period of twelve weeks, you will be guided through the original core syllabus, whilst also experiencing some of the very latest tools Alex has been developing. If you want to take your life to the next level, to discover your true potential, and to live the life of your dreams, this is the programme for you. Over the last decade Alex has been the driving force behind The Optimum Health Clinic becoming one of the world’s leading Integrative Medicine clinics with patients in over 35 countries, and in the last year alone over 1,000 people have been part of his online training programmes Secrets to Recovery and The Ultimate Therapist Training. But, in addition to his professional work, Alex has also pursued and intense path of self-development over the years, to which he attributes much of his success. And, although Conscious Transformation is inspired by Alex’s vast experience providing online training, this is a very different programme. Conscious Transformation is strictly limited to an exclusive group of only 30 people that will be able to interact and ask questions throughout the training. 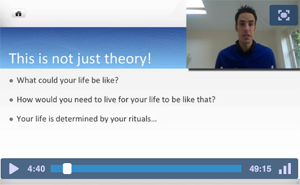 With a combination of the intimacy of a live training, with the flexibility of web-based learning, you will be able to work directly with Alex from the comfort of your own home. Each module you will submit your learnings, questions and experiences to Alex via e-mail, and he will then create a detailed Q and A video directly answering the questions posed. Alex currently has extremely limited availability for one-on-one sessions, and so apart from being a rare opportunity to work with Alex directly, this is also an incredibly cost effective way of doing so. For little more than the price of a one-hour session with Alex, you will have access to a life changing 12 week step-by-step training programme. The aim is to break making the changes you want to in your life into easy, manageable steps, that you have not only the motivation, but very latest tools available to make. Week 1: 1 hour Core Training released on a Monday. This is in video format, with audio only download option. At the end of the week, you submit your feedback and questions to Alex. Week 2: Q and A video where Alex directly answers your questions. You will also receive a professionally produced meditation (around 15 minutes long) to support integrating the module. 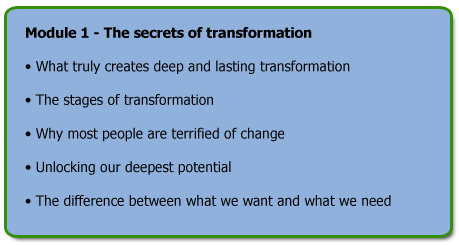 Conscious Transformation is limited to only 30 people and is on a first come first served basis. This is a very rare opportunity to learn some of the most powerful tools available for creating dramatic and lasting change. If you are looking to make changes in your health, relationships, career/finances, or any other area of your life, this is the programme for you. This truly is an amazing opportunity to make 2019 a year you will remember. Because we want those that will most benefit from this programme to take part, we are offering it at a huge 60% discount for patients of OHC, along with friends and family. The full price of the new Conscious Transformation is £495. But, for this programme, we are offering it at £197, although the programme is strictly limited to 30 people. Alex is also donating a percentage of registration fees to registered charity The Optimum Health Clinic Foundation. So, if you want to be part of this, please sign up now! There is also an option to pay for the progamme in instalments over the three months it runs. We will send you some “Get Started” materials, so you are ready to start when the programme launches on Monday 25th February 2019. Please also remember that if you miss a module due to being away, you have lifetime access to all of the content and you will easily be able to keep on track. Yes, there is an option to pay for the programme over the three months that it runs. What if I’m going to be on holiday during some of the three months? That is completely fine. Because the programme is web-based, you will easily be able to catch up. Remember also, you have lifetime access to all of the materials. I’ve heard it is possible to have sessions directly with Alex if you are part of Conscious Transformation, is this correct? Yes, Alex has a very limited amount of availability for private sessions, and these are currently only available to those that have been through the Conscious Transformation programme. How have previous delegates found the programme? Feedback from the first online Conscious Transformation was exceptional. You can read some participants’ experiences below. “I’m feeling very confident in how to take my health to the next level in my recovery. 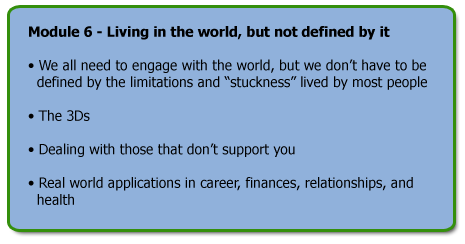 I think i’ve definitely been able to ”unstick” myself which has been hugely rewarding after a couple of years of not moving forward. This programme came at the PERFECT time for me ! I’d started this year with more of a focus on ”me” anyway, and to have this programme happen when it did was the boost i needed in order to propel me forwards which has gained me enough momentum that i can already see changes, so i’m HUGELY thankful to you for that ! “Absolutely! Definitely beginning to feel different – especially since introducing my 3 smart goals. Seems more time in the day, and am more focussed. Feel more in control of my life, strengthening daily, and catching glimpses of the old energetic me (though from a wiser, more balanced place). An incredible amount of valuable and far-reaching information has passed in mentally, and is now slowly beginning to seep in unconsciously (something which has never really happened to this degree before, despite reading huge piles of spiritual and self-development books). I didn’t really expect to benefit this much so soon, especially as it was hard to take in all the mental stuff. Am having little lightbulb moments daily – the toolkit you’ve given us is definitely for life (though might need sharpening from time to time!). “I have alot to do! I have found it of huge value. Both the content and the approach of teaching/guidance/coaching together with the underlying support/structure/road map, are all really important factors in helping me.